New Kia Special Offers – Rolla’s Best Deals here! 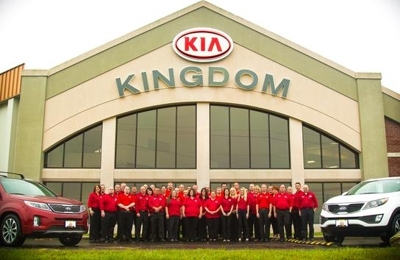 We are a Family owned business with over 30 years of experience, we have enjoyed helping our community and surrounding communities on finding their perfect vehicles and having great service whether you are looking at a brand New Kia or Pre-Owned Vehicle. We serve the Rolla Community and surrounding communities like Waynesville, St. Robert, Fort Leonardwood, Lebanon and Jefferson City as well as St. Louis. Best experience. Low oil light came on in car while travelling in area. Read reviews of other garages and knew I did want to go to any of those. Asked front desk for recommendation and they sent me here. So glad they did! Courteous, kind, efficient! My car was done in an hour and they give me a lift back and forth to hotel. And the price was right!! Deon was the guy who helped us and was very nice and willing to get us the price we wanted! Everyone we worked with were very cooperative and speedy in helping us find the perfect car and for the perfect car! We recently purchased a vehicle that had low miles for a great price. Buying was quick and easy. We had a great experience with Phil and Pete. The guys at Kingdom Kia were excellent in all aspects. Customer service at its best. I will refer anyone to stop here for a car. 5 stars are not enough. Just bought a 2016 Sorento. Erik C was good to work with, very informed on the Sorento. Could not come together on trade in but everything worked on. Would buy from them and Erik c again. Came in for an oil change and the lady at the service counter made me feel welcome and like my concerns mattered to her. What a great experience I had dealing with Paul and Jimmy at Kingdom Kia. They really seemed interested in helping me get the car I was interested in from the minute I stepped in to the showroom until the minute I walked out with the keys to my new 2015 Optima. They were polite and fun to work with. I would recommend them and the dealership to anyone looking for a vehicle. I plan to go back there again for my next car! Very helpful with questions and concerns I had. I would and will recommend Jack and Brian to someone car shopping. Kingdom Kia's staff was friendly, helpful, knowledgeable and worked hard to save me money in recent repairs to my Sorento. I love my Kia and will be returning to Kingdom Kia for other automotive needs. These people are outstanding to work with. Drove up to the dealership and was immediately greeted by Paul, which I appreciated, I've been car shopping for months and for the first time I didn't feel insecure about being a woman on my own purchasing a car. Jimmy helped get the best possible financing available and I am leaving with a "new" to me SUV. 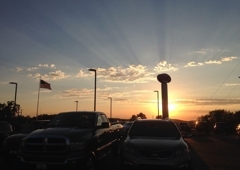 I have had nothing but good, quality, friendly service from the people here at KIA. They helped me buy the car I wanted, they have done good follow-up , and the service department has been super. I had relatives who have purchased from them and have the same good words for them. I really like the 2015 KIA Optima I am now driving thanks to this dealership!